There’s a lot of speculation about how to interpret that haunting final scene of Twin Peaks: The Return. Is Special Agent Dale Cooper doomed to travel a Möbius strip of purgatory? Is the character now stuck in a dimension bereft of all he thought he knew? One thing is certain: Kyle MacLachan is getting the hell out. The actor has found his first follow-up project to the landmark David Lynch series, Deadline reports, and it’s honestly kind of like a children’s version of Twin Peaks. 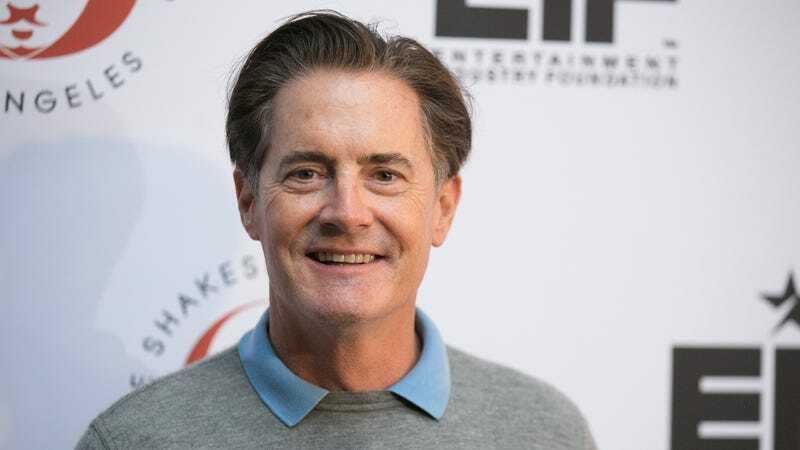 Maclachlan is joining the cast of the big-screen adaptation of John Bellairs’ The House With A Clock In Its Walls, the beloved YA horror novel from 1973 featuring nightmare-inducing illustrations by Edward Gorey. The book tells the story of a young boy who moves in with his garrulous uncle, only to learn his older relative is a practicing wizard, and the house is full of magical secrets, some of which are deadly. It’s kind of like moving in with a future therapy bill. MacLachlan will lay Isaac Izard, the menacing original owner of the house, which might give you a hint as to the direction of the plot. He joins Jack Black, as the uncle, and Cate Blanchett, who plays Mrs. Zimmerman, the uncle’s neighbor, best friend, and fellow witch. Strangest of all, though, is the news that Eli Roth will be directing: A subtle atmospheric unease hasn’t exactly been his cinematic forte, even if his last film, Knock Knock, is among his better work. We’ll see—The House With A Clock That Swears Repeatedly And Then Goes Way Over The Top might be a more apt name.